The Cycle Touring Festival is wonderful, interesting, friendly, fun…but doesn’t involve any CYCLING. We’re going to put that right and invite you all to come cycling with us through the stunning Forest of Bowland on the weekend of 17 / 18 September 2016. We are planning to ride in the beautiful Forest of Bowland, one of my favourite places for cycling in the world. It will be an overnight round trip, from Lancaster to Clitheroe and back. Meet in Lancaster at 10am on the morning of Saturday 17 September. Cycle to Waddow Hall, Clitheroe. It will be up to you to choose your own route, although we will offer some suggestions in due course. Camp at Waddow Hall on Saturday night, hopefully with a camp fire if the weather plays ball. River swimming optional. Food will be available to buy if you pre-book (see below), otherwise bring a camping stove or there are plenty of chippies around. Cycle back to Lancaster on Sunday morning. The intention is to bring together the cycle touring community for an overnight bike ride. 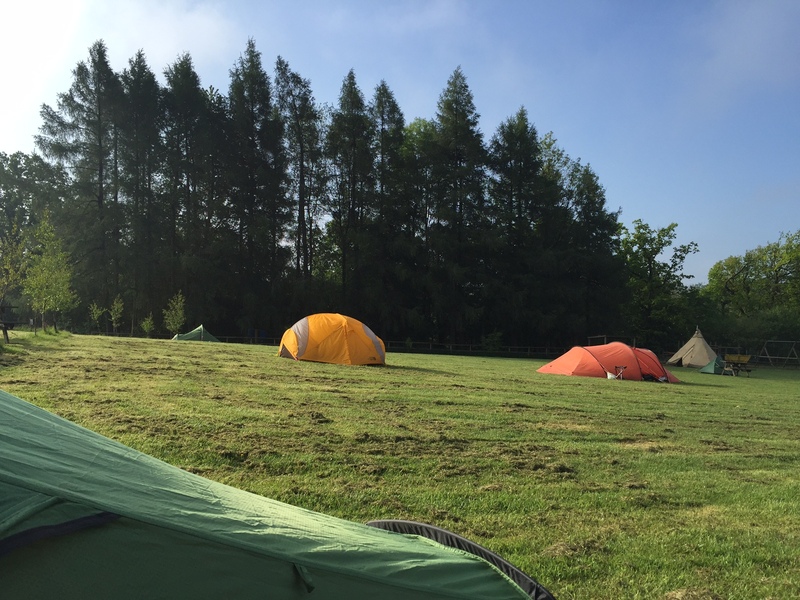 Cycle touring is all about independence, so our organisational input is limited to booking the campsite and suggesting a couple of routes we know are particularly lovely. Otherwise, it’s up to you. If you want to stay in Lancaster on Friday night, you will need to find your own accommodation. Lancaster is on the West Coast mainline so is well served by trains, or else you will need to find somewhere to leave your car overnight. The ride is open to everyone – experienced tourers and complete novices. It will be a perfect opportunity for those who might be slightly nervous about touring to have a go, in like-minded company. As with the festival, the Forest of Bowland ride is being done on a non-profit basis. The £10 fee we are charging covers the cost of the campsite on Saturday night, plus the admin fees we are charged by Paypal. Sunday breakfast: Bacon / sausage / veggie sausage / fried egg baps with tea, coffee or juice. Hi Steve, this link here http://cycletouringfestival.co.uk/contact/ will get you a response from ride organisers Tim & Laura Moss. Hope to see you there!